Here Sapphire Goss visits for Breaking Travel News to discuss plans to regenerate the sector with Greek minister of tourism, Elena Kountoura. The on-going economic crisis is evident around Athens by both the abandoned buildings and in the resigned mood of its inhabitants. In 2015 that had had an effect on international visitor numbers: “With the crisis people are more wary of visiting,” explains the Greek minister of tourism, Elena Kountoura. The event did not get off to an optimistic start when it turned out the moonlit cruise we had scheduled was docked due to strike action, suggesting problems remain. However, the event on-board the Cosmos was successful in spite of this setback - a very lively affair with delicious Greek food, traditional dancing to the sounds of the famous Greek “bouzouki”, free flowing drinks and a party atmosphere with the buyers mingling and networking. 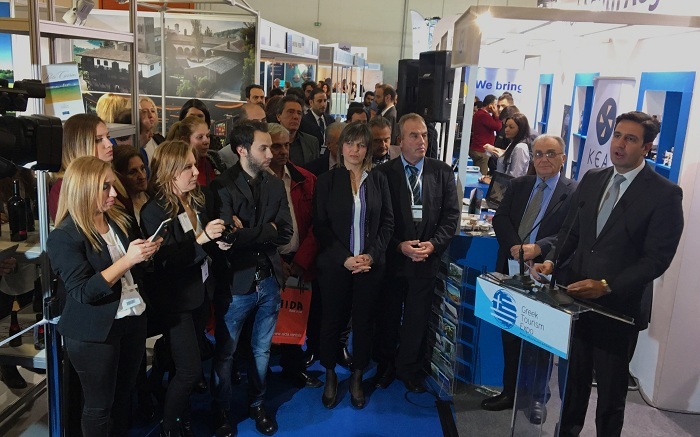 The Greek Tourism Expo itself hosted 120 buyers from esteemed international businesses and 35 countries. The focus was on leisure, MICE and business travel, but there were also vendors promoting everything from gastronomy to mobility to local organic beauty products. The exhibition boasted 230 exhibitors from all sectors of Greek tourism, such as regional authorities and municipalities, hotels and villas, tour operators, and cruise companies, while some 4,500 business-to-business meetings between exhibitors and buyers took place over the course of the event. Some 7,500 visitors from Greece and abroad, mostly from the tourism sector, but also from other similar business areas, were in attendance. The event was held in the presence of minister Kountoura, who was keen to discuss her plan for improving visitor numbers and investment. She explains: “Greece needs to show what extra it can give, everyone knows the islands, the beautiful cities, but we have so much more to offer. Expansion is key, with targets including MICE, city breaks, culture, nightlife, skiing and sports such as mountain biking. The idea is to make Greece a 365 destination and there has already been an increase in bookings for next year. This is certainly a convincing strategy. 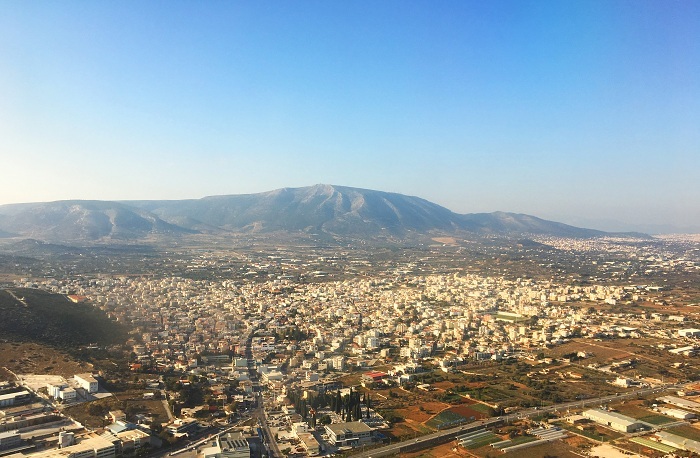 As part of the program a tour was arranged to the Acropolis and the newly built Acropolis Museum with the tourist guide Diane Stefanou, and it was incredible to see these iconic monuments and the spectacular views without the high season crowds. Wondering through the famous Plaka district with its historic buildings, tavernas and shopping streets was mild, and pleasant without the tiring heat of summer. The newly opened museum is well curated and informative with a scenic restaurant overlooking the Sacred Rock. As well as these new sectors Kountoura is keen to expand their reach to new source markets. The traditional markets for Greece include the UK, Germany, France, Scandinavia, and Russia. The ministry of tourism is keen to push Greece’s relatively new markets of China, South Korea, India, the Middle East, United States and Australia. As Kountaoura says: “Each visitor has different needs so we are trying to open up new markets and also have the service that they need. “Then if they leave satisfied they will be the best ambassadors. And it has worked in my case. The highlight of the short trip was an energetic and informative tour from Athens Insiders. As someone who would not normally be in the market for something organised, preferring instead to wonder through the city and stumble across hidden gems, this tour was a revelation. The walk included tastings of local delicacies and passed through the central market, Monastiraki and Psirri. It encompassed walks around not only the historical or shopping districts (including the intense experience of the meat and fish market) but some more edgy, rough and ready and more hidden areas. Our guide, Yorgos, waxed lyrical on everything from politics to traditional recipes to football hooligans to street art. This was a fast-paced but incredible way to see the Athens, through the eyes of someone who was familiar with the city on so many different levels. It would appeal to the visitor who wants an experience beyond the trappings of the touristic scene. 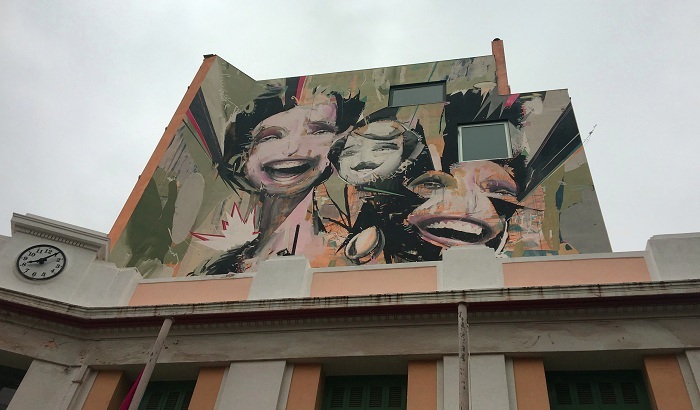 The tour, though not cheap, is a great introduction to the city and Athens Insiders offer tailor made trips such as craft beer or wine tasting - perfect for a millennial market who want bespoke experiences. Alongside these promotions the ministry of tourism has introduced other measures to boost visitor numbers, such as competitive pricing to meet all budgets, simplifying the visa process particularly for the Russian market and changing legislation around hostels and boutique hotels to encourage further investment from the private sector. The strategy seems to be successful so far, as Kountoura explains: “We can already see the difference and in 2016 we have really succeeded but at the same time we need to promote Greece as a great opportunity for business. “Because if we want more visitors we need more beds, more resources. And the outlook for Greece is certainly positive. Obama’s visit a few weeks ago seems to have had a positive impact on the country and re-established a sense of confidence. And the figures seem encouraging – as Kountoura sums up: “We have had a positive increase in visitor numbers after a bad time after the crash. 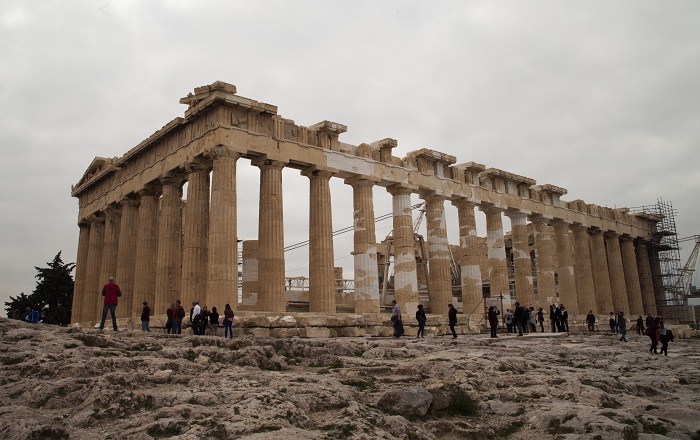 For more information on what to see and do in Greece visit the official website.